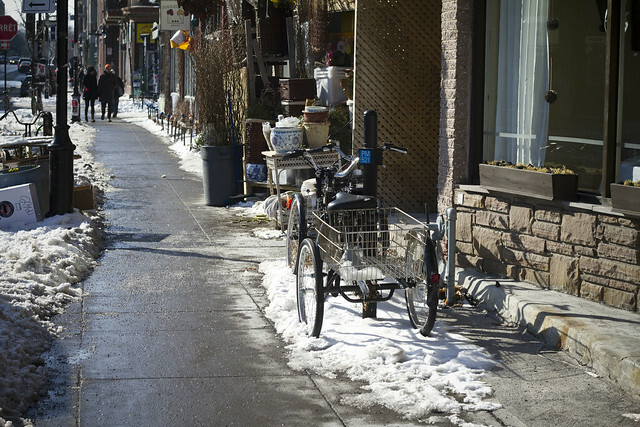 These two cargo bikes were parked outside a shop in Mile End, on Bernard Street. 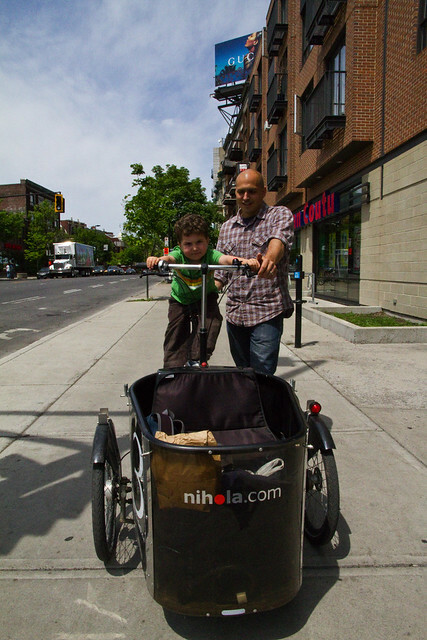 And this gentleman was riding around with his son on his Nihola cargo bike. 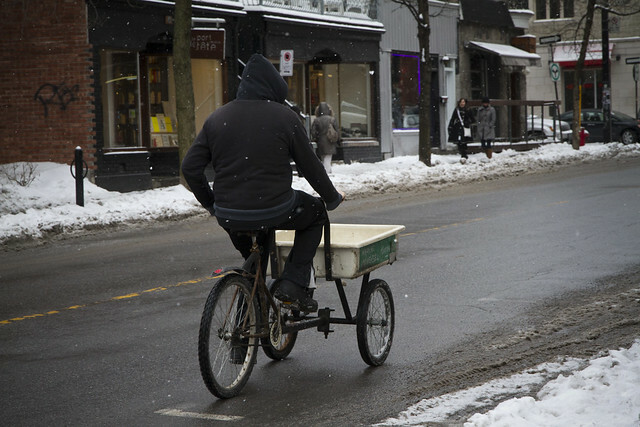 Which he was also doing last summer, when I was in town. 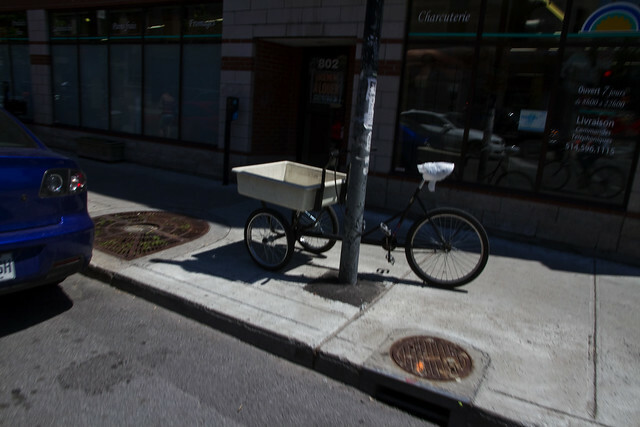 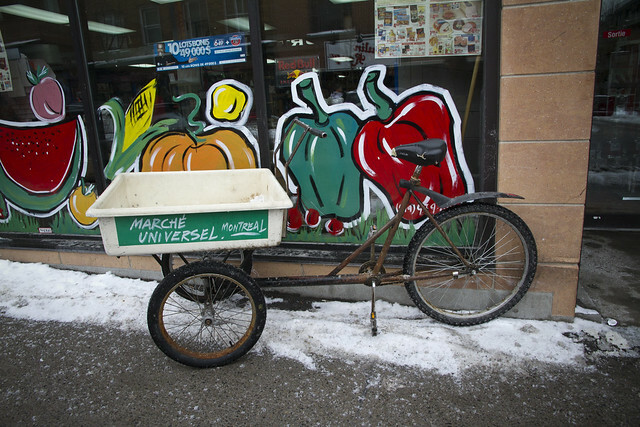 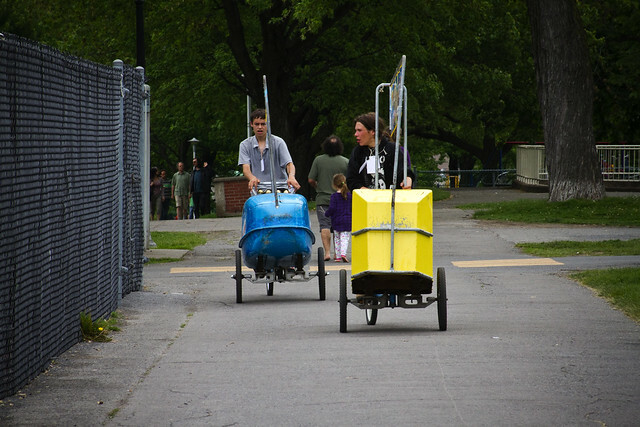 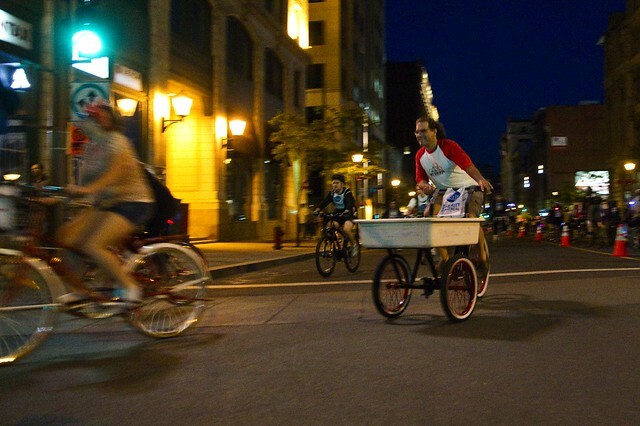 Here are some other cargo bike photos from Montreal. 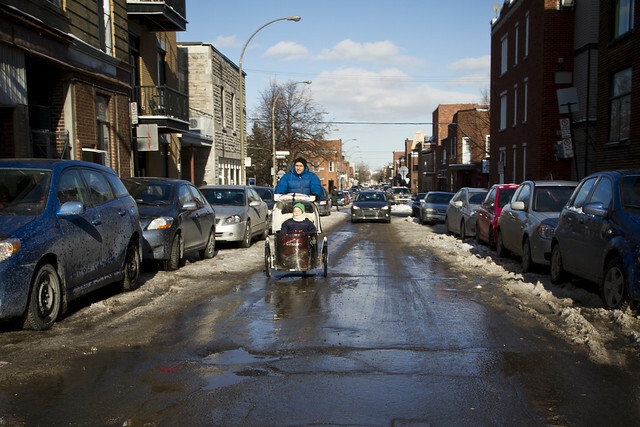 Quelle ville!